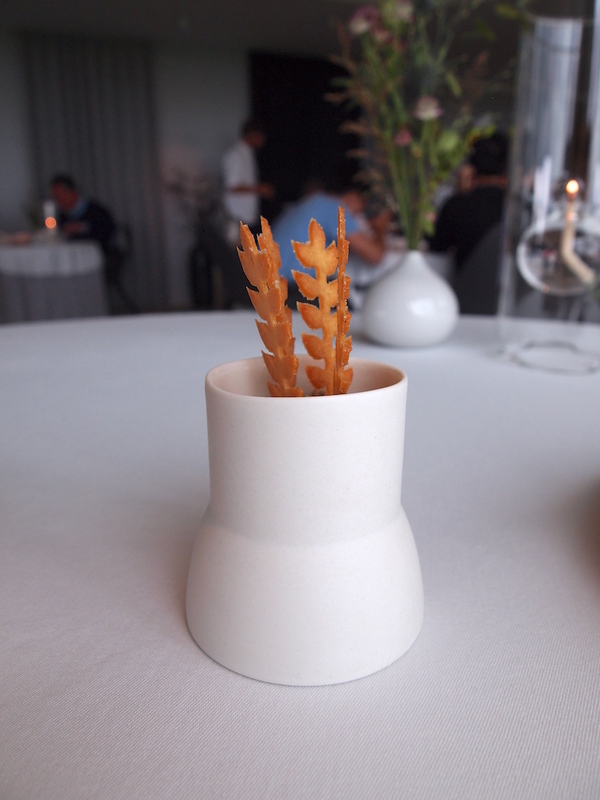 When Geranium was awarded a third Michelin star on the 24th of February 2016, the restaurant made history as it became Denmark's first three-star restaurant ever. Geranium is run and co-owned by Rasmus Kofoed (executive chef) and Søren Ledet (restaurant manager/sommelier), who originally opened the restaurant in 2007 in Copenhagen's Kongens Have (the King's Garden). In 2008 the restaurant was awarded its first Michelin star but a year later Geranium temporarily closed due to a change of investors. The restaurant relocated to its current premises on the 8th floor of the Telia Parken Stadium, the home of FC Copenhagen. 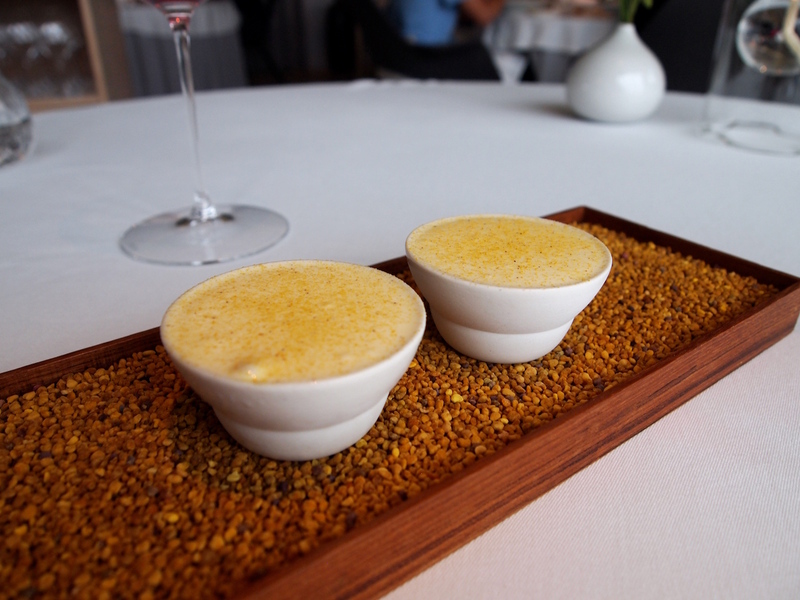 In 2012 Geranium returned in the Michelin guide with one Michelin star; the second star followed in 2013. Rasmus Kofoed started his career in the late 90s and received his training at the iconic Hotel d'Angleterre in Copenhagen, Roger Souvereyns' Scholteshof in Stevoort, Belgium (then 2 Michelin stars), and Komandanten in Copenhagen (then 2 Michelin stars). In 2002 Kofoed became head chef at Krogs in Copenhagen and before opening Geranium he was head chef at the aforementioned Hotel d'Angleterre. Also noteworthy are Rasmus Kofoed's achievements in the renowned international Bocuse d'Or cooking competition. He picked up the bronze award in 2005, the silver in 2007 and the gold in 2011, a unique accomplishment. Geranium is open for lunch and dinner Wednesday through Saturday and the restaurant offers a seasonal multi-course tasting menu for 2000 DKK (£225). The wine pairing is priced at 1400 DKK (£158) and the juice pairing at 700 DKK (£79). I had lunch with my husband at Geranium on Friday 12 August 2016. 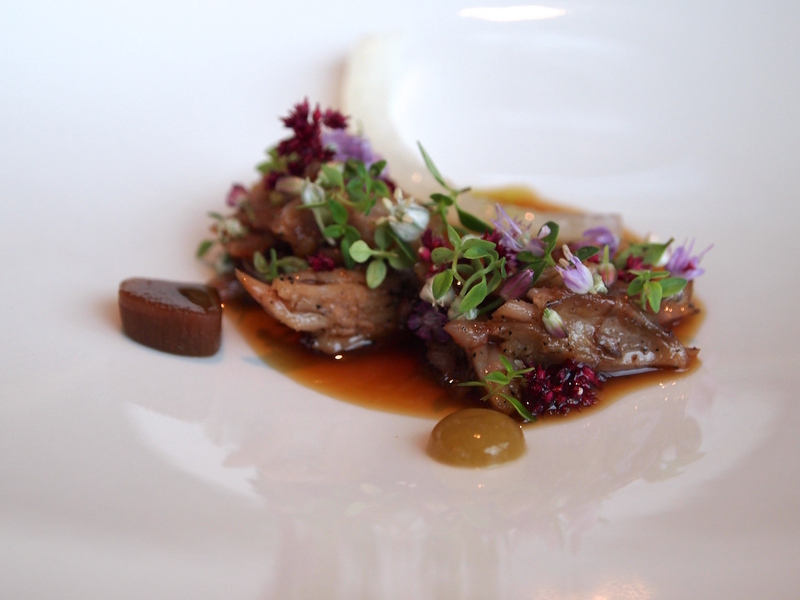 The menu today was the "Geranium Late Summer Universe", which started with a selection of appetisers. 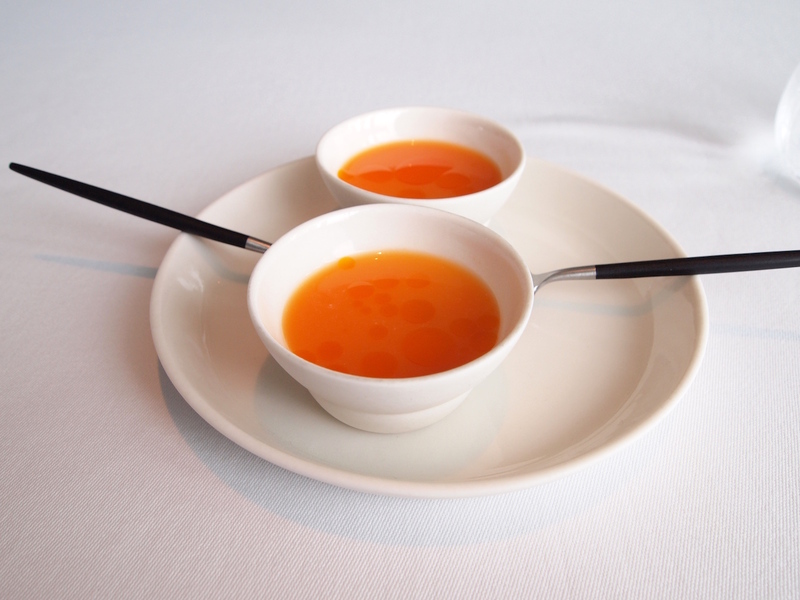 First up was Danish lobster (claw and body meat) covered with a thin layer of "silky milk", and some, bright orange, fermented carrot juice, finished with a few drops of sea buckthorn oil. Lovely, bright and savoury-sweet flavours coming from the fermented carrot juice, its sweetness complementing the succulent lobster wonderfully. Shortly after, some crisp jerusalem artichoke "leaves" arrived, accompanied by a creamy walnut oil and rye vinegar dip/emulsion. 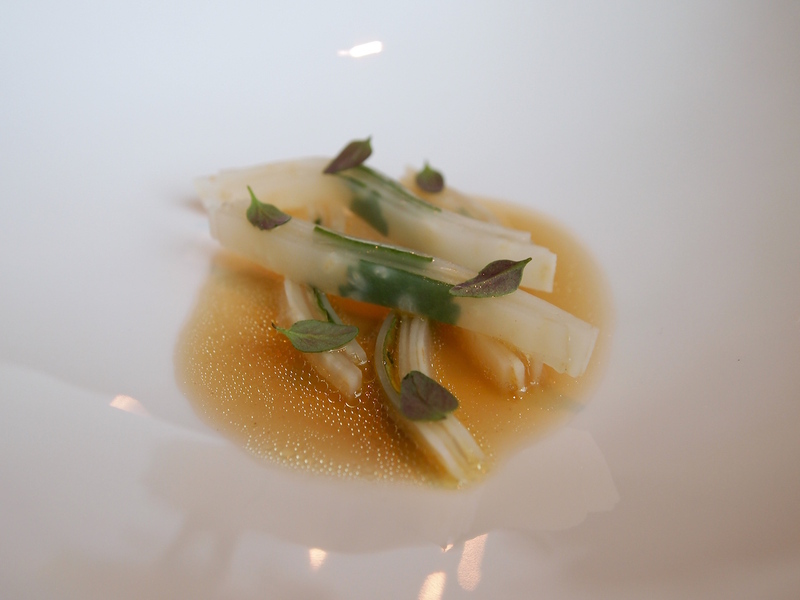 A delicious combination with good earthy-sweet jerusalem artichoke flavours, which were brightened by the vinegar. 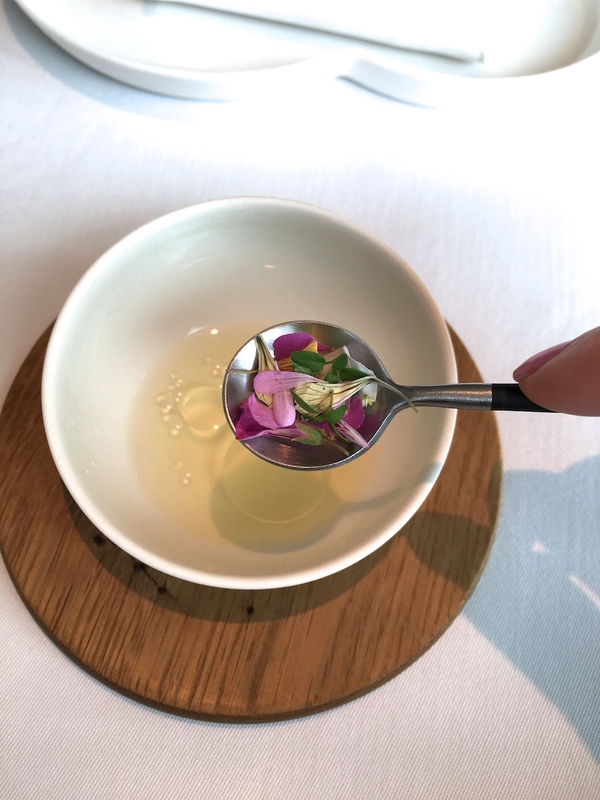 This was followed by a small bowl with tomato water, tomato jelly and ham fat oil, served with aromatic herbs (including lemon thyme) and ham crumbs, the latter two served on a spoon and meant to be stirred into the tomato water. A very elegant appetiser with intense flavours, the ham adding a nice hint of unctuousness. Great aftertaste too. Fourth appetiser was "charred potato" served with some smoked sheep's butter. Delightful and a playful twist on the classic potato and butter combination. Most impressive were the final two appetisers. To start with a "dillstone": raw mackerel coated with a pure and intense tasting dill jelly, successfully paired with a dill-cucumber granita and horseradish crème. Impeccable flavours and great to see traditional Nordic ingredients like dill, mackerel and horseradish, used to such creative effect here. 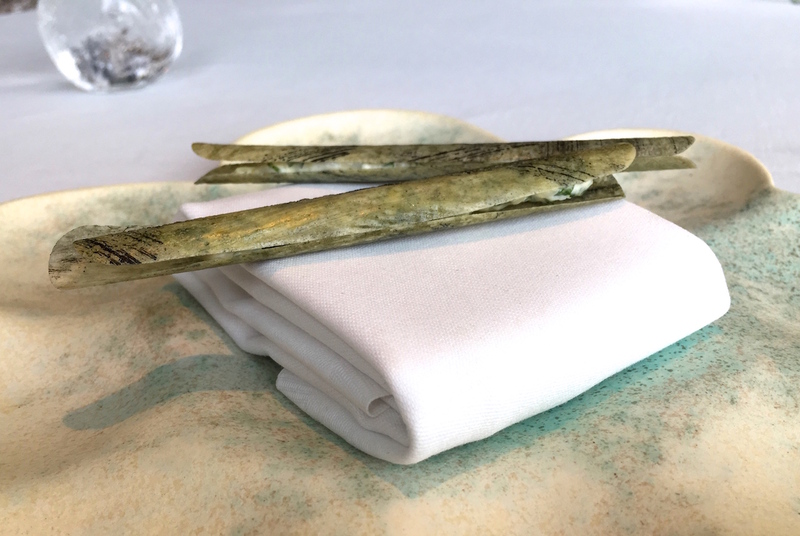 Equally creative was an edible razor clam shell with a filling of chopped raw razor clam and sour cream seasoned with tarragon, parsley and a touch of lime zest. 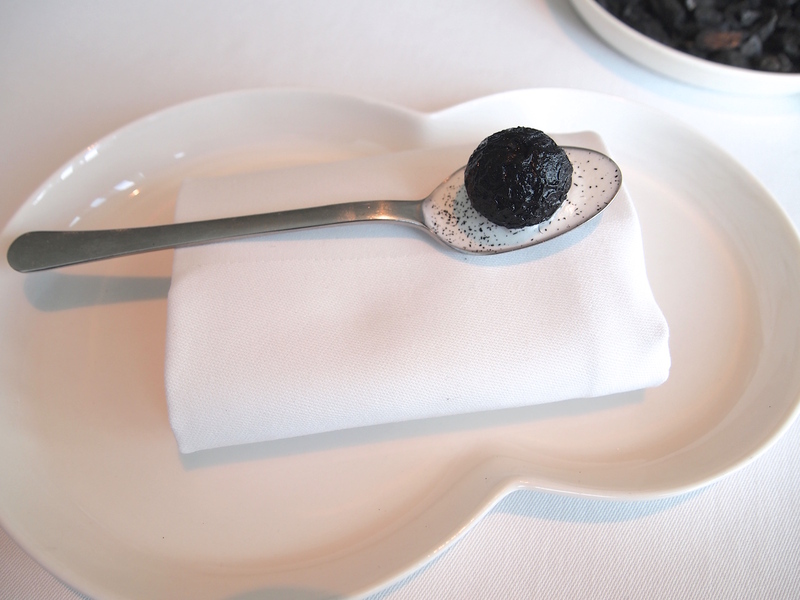 An exquisite bite with refined flavours and wonderfully delicate textures. These were six outstanding and beautifully presented appetisers, priming the palate for the rest of the meal. Main ingredient of the first course was golden beetroot, cut into perfectly thin slices, half of them covered with thin discs of vinegar jelly and the other half with the powdered burnt liquid of strained yoghurt. The beetroot was sprinkled with aromatic seeds, pickled green, unripe elderberries, and onion seeds, and served with a juice of strained yoghurt liquid mixed with a concentrated beach plant oil. A dish that seemed deceptively humble at first, but both the jelly and yoghurt liquid powder added great complexity of flavour, with a little kick of sharpness coming from the jelly and a lovely hint of smokiness delivered by the yoghurt powder. Best of all though was the beetroot, which had an almost sugary sweetness. 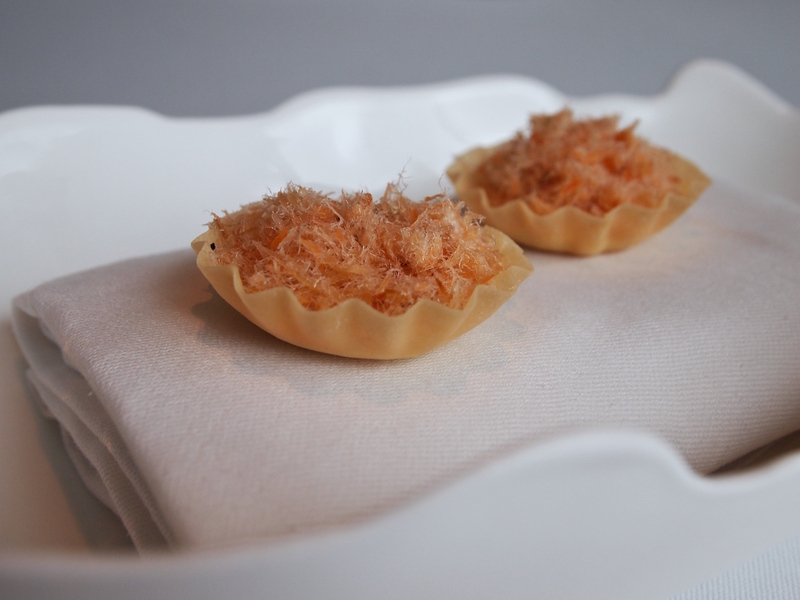 Second course was a delicate and crisp tartlet with an astonishingly good filling of scallop (seasoned with a touch of cream) and cured and dried trout flakes/fibres. 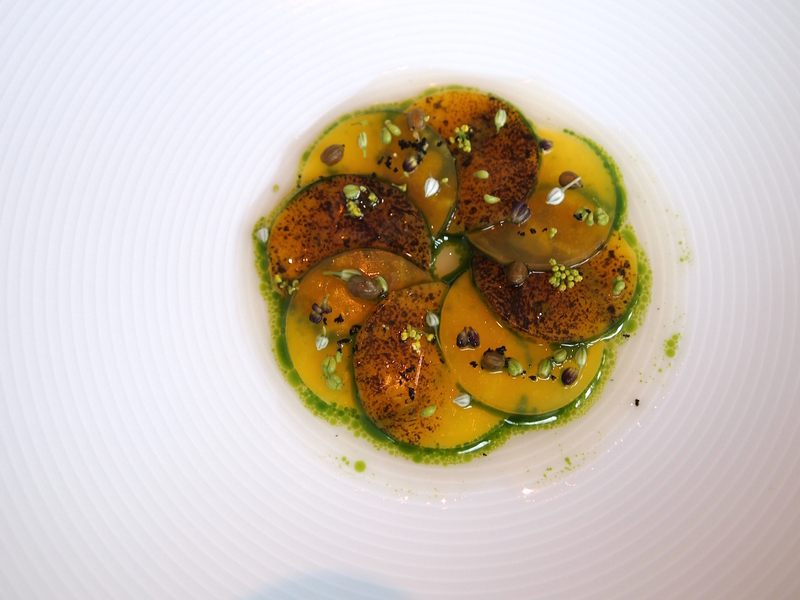 Equally fabulous was an accompanying dish with strips of roasted and pickled celeriac, sandwiched together with lemon verbena leaves, garnished with purple thyme, and served with a delicately flavoured scallop coral and brown butter bouillon. 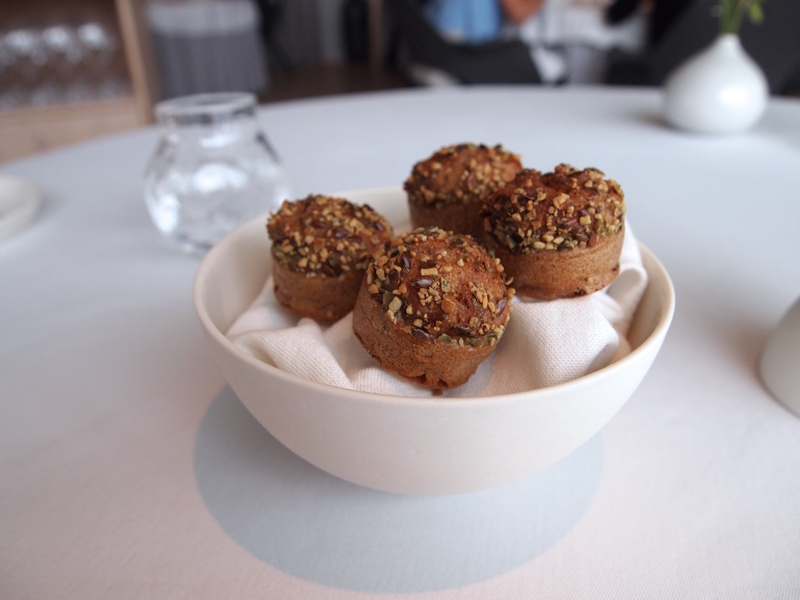 Two extraordinary dishes executed with great precision, the tartlet being a thing of real beauty. Great flavour profiles too: the tartlet had a terrific flavour intensity and the celeriac and scallop broth was elegant, with subtle, fragrant and floral notes from the lemon verbena and the purple thyme. Even better was thinly sliced, salted hake (dry marinated with parsley ash and then lightly smoked) and a thin disc of clear tomato jelly, served with a creamy buttermilk, parsley stalk and Finnish caviar sauce and finished with a spoonful of crunchy fish scales. The dry marinating had resulted in a marbling effect, making for an extra, beautiful visual ingredient. 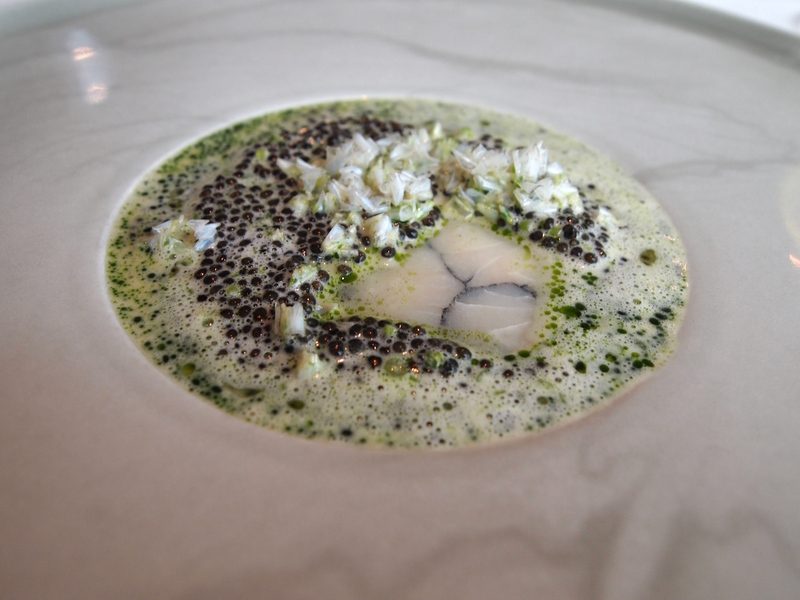 A rapturous pairing with a wonderful series of textures, the buttermilk adding just the right touch of creaminess, and the caviar giving the dish a lovely long finish. 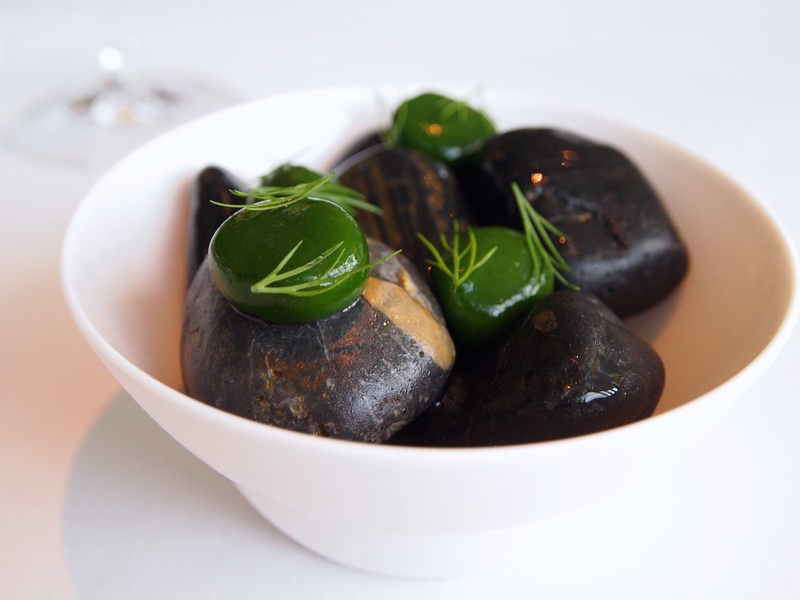 Great use of parsley too, which offset the salty/briny flavours in this dish perfectly. 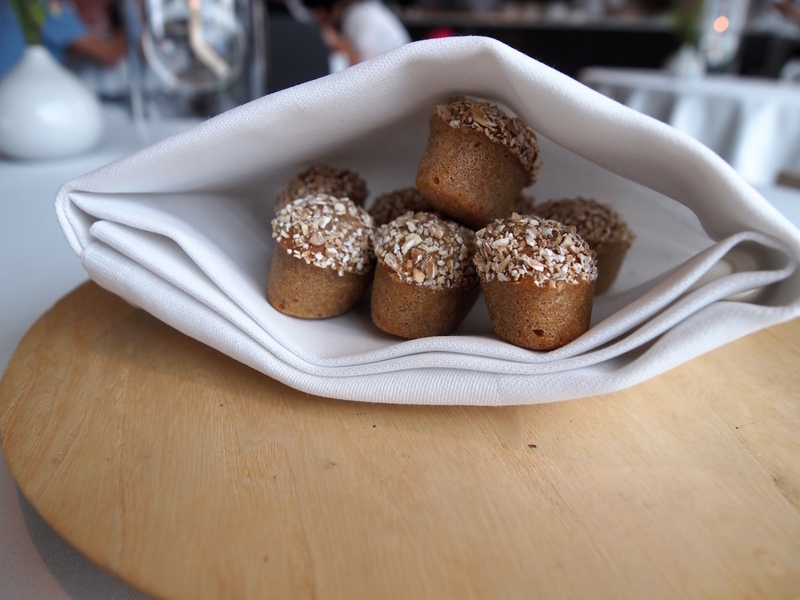 On to the fourth course, an excellent bread course with gluten-free rolls with pumpkin seeds, sourdough rolls with "old grains" and cheese-flavoured crispy "grains", served with whipped buttermilk seasoned with red sorrel. In a way this course also marked the transition to the next part of the menu. Whereas the dishes before the bread course were mainly pure and light in nature, I found the courses after, to have more intense and comforting flavours. 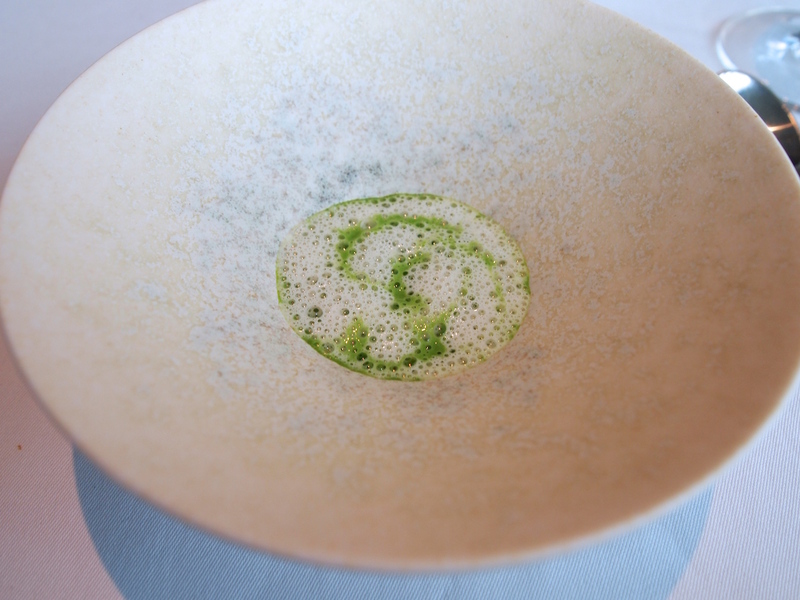 To start there was grilled oyster, fresh peas, and pickled elderflowers, covered with a creamy emulsion of potato, leek and parsley. A lovely dish with warm flavours and a nice fresh crunch from the peas. 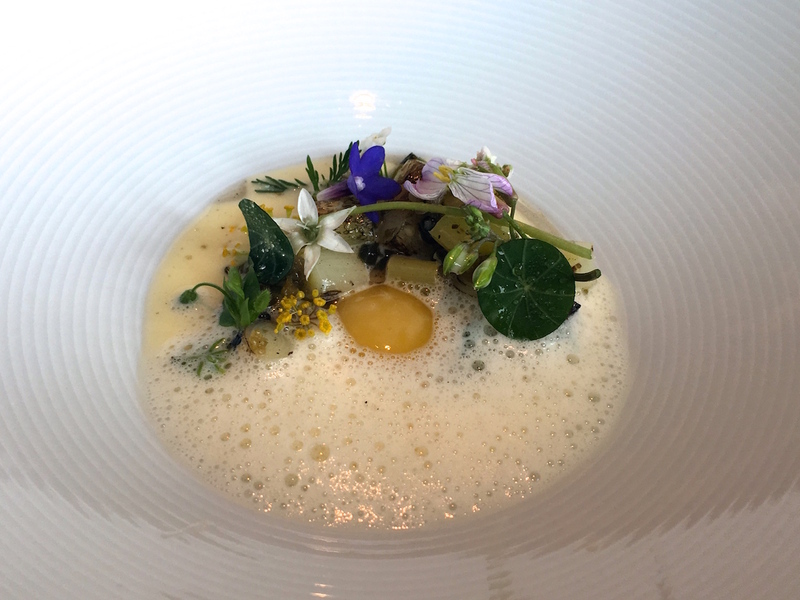 This was followed by a comforting but refined and very satisfying dish of lightly charred young Danish summer leek, nasturtium, various edible flowers, soft quail's egg yolk, some caviar and smoked pork fat, complemented by a delicious, mildly acidic Vesterhavs cheese sauce. A delightful combination of warm flavours, the egg yolk delivering lovely richness without overwhelming the other ingredients. Best of all was the cheese sauce, which provided delicate but intense umami flavours. 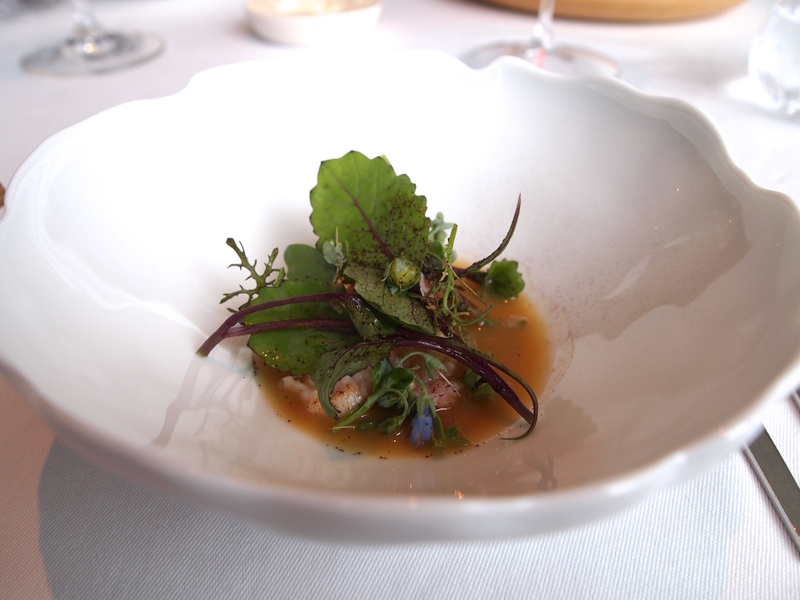 Seventh course was king crab and roasted cauliflower, topped with cabbage sprouts, and bathed in a beautifully flavoured sauce made with king crab and beach crab, and delicately seasoned with a touch of brown butter and söl (dulse). The sauce had an amazing natural creaminess to it as well as subtle umami notes. A superb dish enhancing the natural sweetness of the king crab nicely and with a good balance between pureness and comfort. The meat course was an extremely elegant dish of grilled and salted pork (cooked on the bone), brilliantly paired with a pork and black currant leaf sauce, pickled pine puree, and some sweet confit garlic. Expertly cooked pork with intense and robust flavours and a stunning pork sauce with a sublime depth of flavour. Herbs and flowers were used to decorate the pork, which created a spectacular finish to the dish, both in flavour and in fragrance. 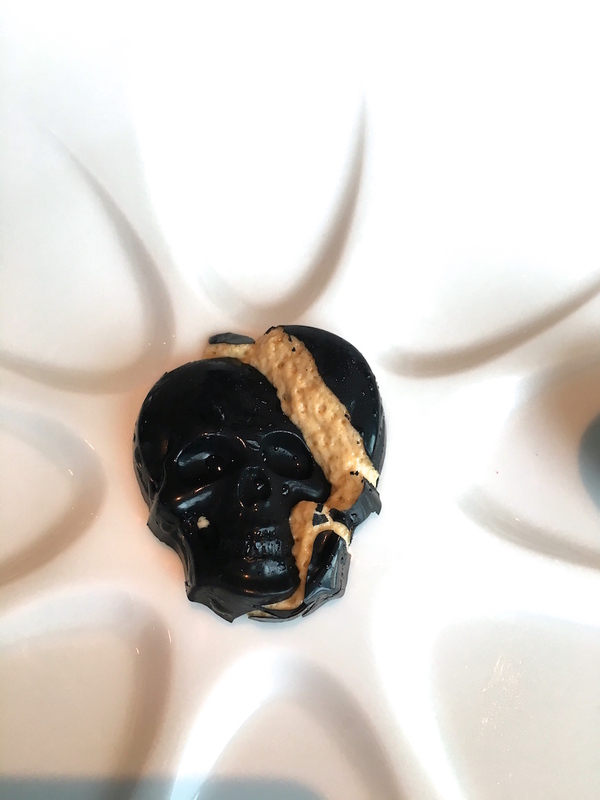 You eat this dish with your eyes and nose first. Wonderfully balanced ingredients shown at their best, the pickled pine puree balancing the richer flavours in this dish wonderfully. Time for the sweet part of the meal. First served was a thin and crisp beetroot sphere with a smooth sheep's yoghurt mousse filling, dusted with rhubarb powder, and garnished with borage flowers and marigold leaves. A delicious flavour sensation. 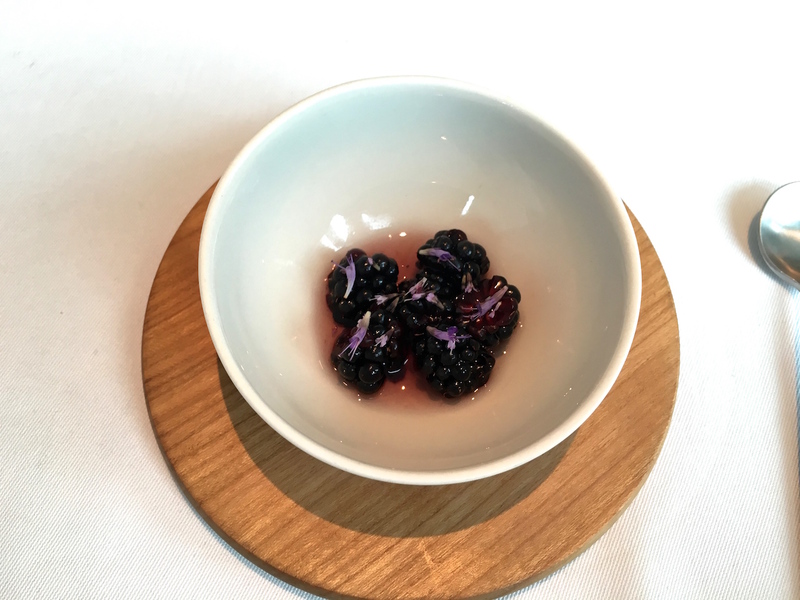 This was followed by blackberries with some elegant floral juices, garnished with flowers, and accompanied by some delicately creamy and floral beeswax ice cream, which was finished with a sprinkling of pollen dust. An elegant and pleasing combination, although the flowers were quite powerful on their own. 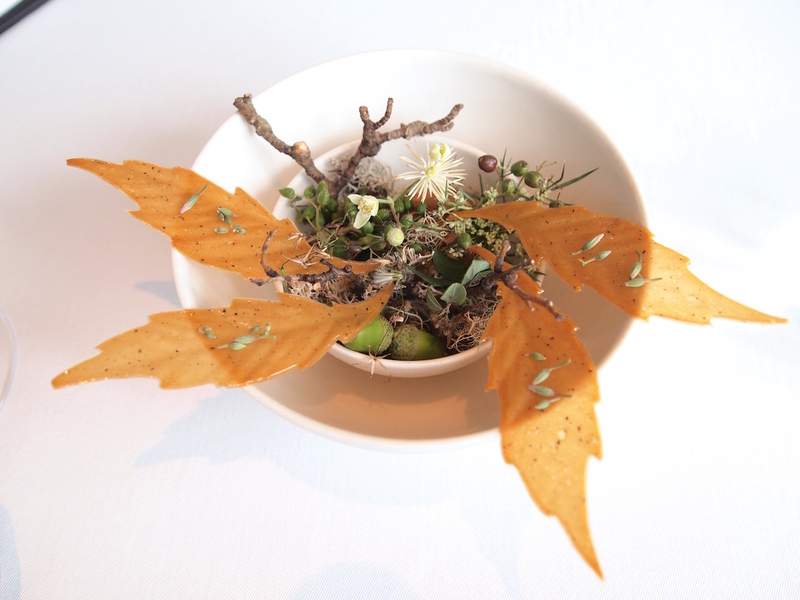 Then there was a visually stunning dessert (possibly the most Instagrammed dessert in Copenhagen) of woodruff and white chocolate mousse, covered with a thin layer of chervil jelly, topped with iced wood sorrel pastilles and a beautifully made crisp "twig" from plum. A really light and refined dessert, the mousse delivering a nice and comforting contrast to the refreshing wood sorrel ice. 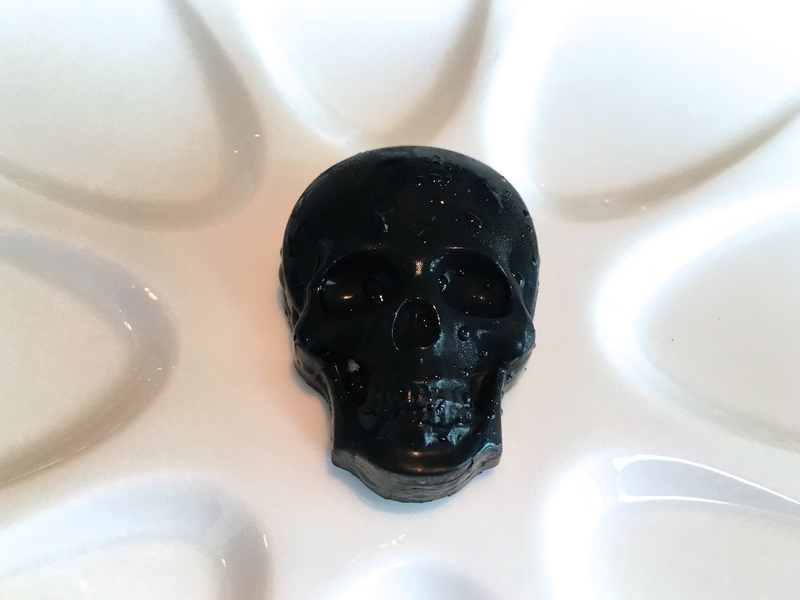 Finally there was a liquorice skull with a liquorice mousse filling. A playful and delicious end of the meal. 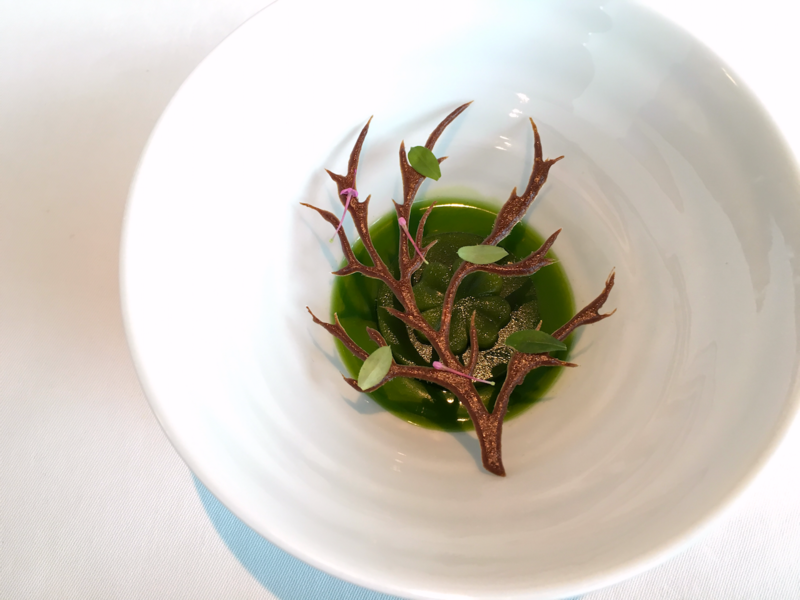 It is perhaps tempting to think of Geranium in terms of New Nordic Cuisine and it is clear that Geranium's success is rooted in this movement. Could a restaurant like Geranium have existed in Copenhagen without the money and attention that (new) Nordic cuisine has drawn to the capital of Denmark? Insofar as the adjective "new" suggests experimental or untrodden, "new" may be dropped by now. In little more than a decade, Nordic cuisine has established itself with its own identity and stylistic make-up, and while some interpretations of the theme are more extremist than others, certain elements have made their way into international, mainstream gastronomy. 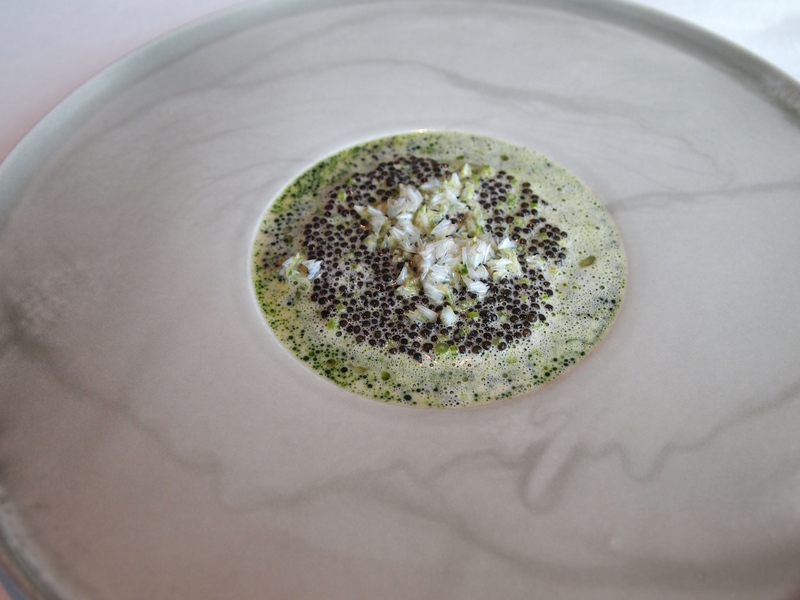 The language of the cuisine at Geranium is clearly Nordic, both in its choice of ingredients and in its presentation, but above all the cooking bears the creative signature of Rasmus Kofoed. He incorporates many flowers, herbs and leaves in his cooking, but he very cleverly balances their cool and bitter flavours with ingredients that provide warmth and comfort, thus delivering dishes which achieve a real harmony and are a joy to eat. 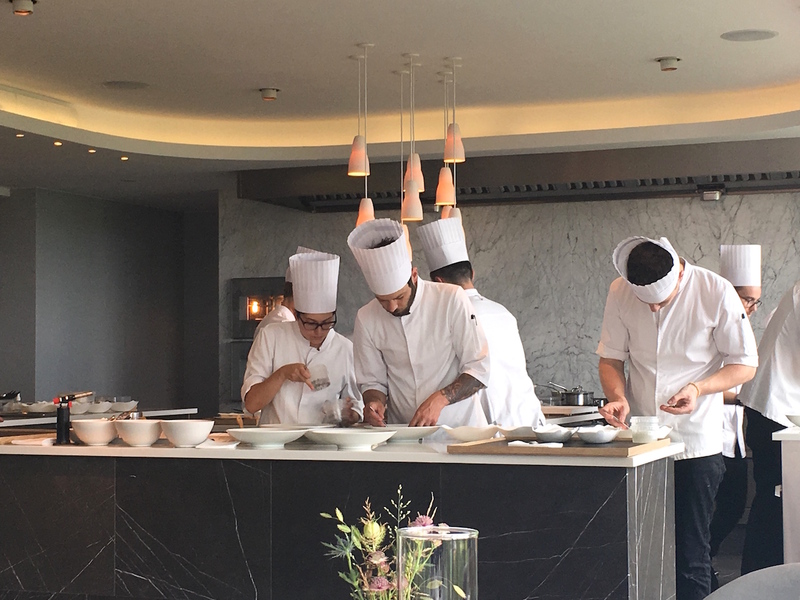 The carefully constructed menu at Geranium consists of meticulously designed dishes, perfectly executed by Kofoed and his outstanding kitchen team. 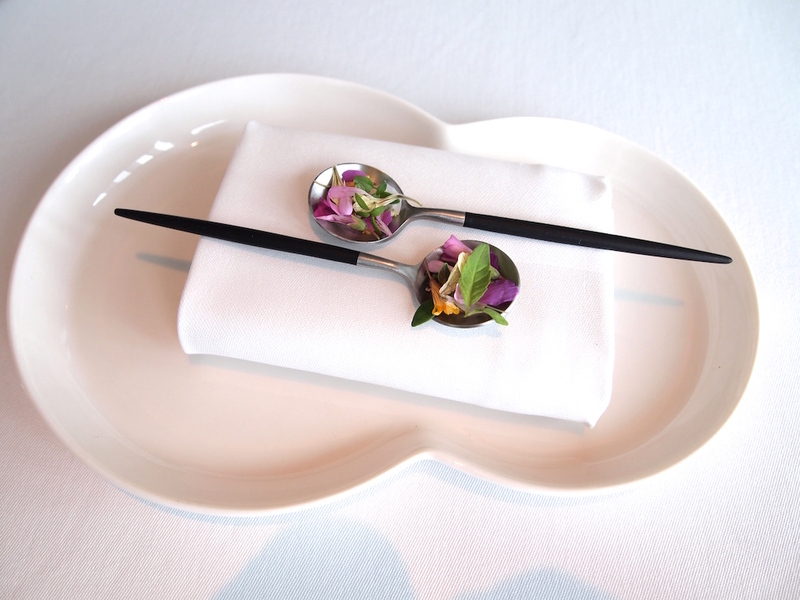 The presentation of the dishes is very beautiful, sometimes even stunning - the visual aspect is clearly very important here. The style of the food is anything but decadent or brash, it is precise and almost shy, but the pure and intense flavours are no shrinking violets. 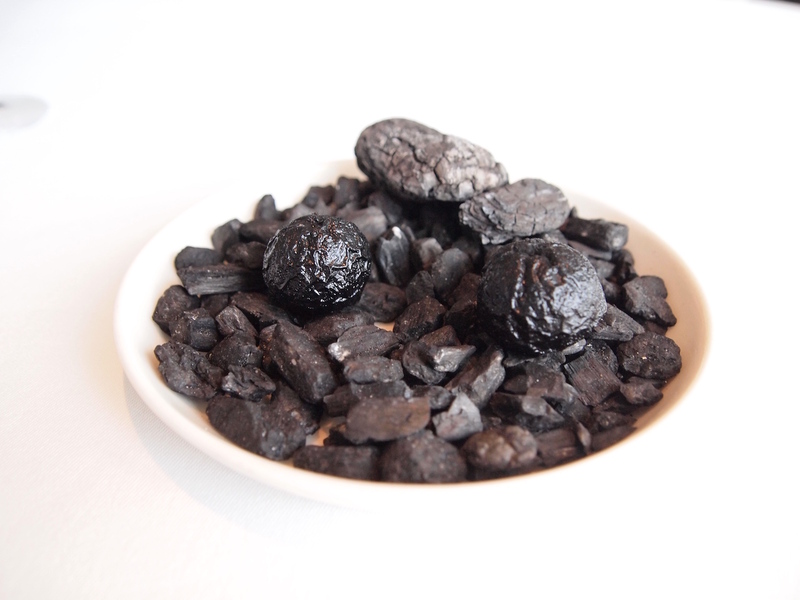 The focus on (enhancing) the natural flavours of the ingredients contrasts interestingly with the virtual absence on the plate of ingredients in their recognisable, natural form. They have invariably been treated with great skill and care, but even at this level you sometimes just want to cut through a whole, juicy scallop or langoustine. Service is excellent, the staff are very professional, laid-back but never too jovial, making for a well-orchestrated but relaxed experience in the dining room. Geranium is clearly worth a special journey to Copenhagen.